Cover of Old Hungarian Fairy Tales by Baroness Orczy. Hungarian fairy tales and folktales are rife with fairies, princesses, and whimsical creatures. 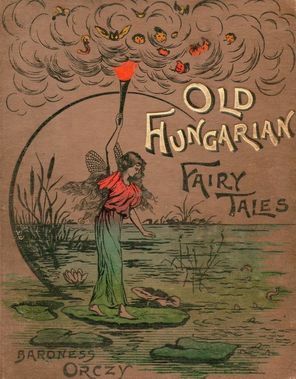 Such tales from Hungary were published by Baroness Orczy, who translated several of the region’s stories for children for her book Old Hungarian Fairy Tales, which featured illustrations by her husband, the artist Montagu Barston. Andrew Lang, noted folklorist, also included some Hungarian fairy tales in his Color Fairy Books.